a joint attack does not work on the server.impossible to play, the top 30 one Alliance that gives no one life. we just all go make sense to play there. because we do not destroy the enemy with a single account. 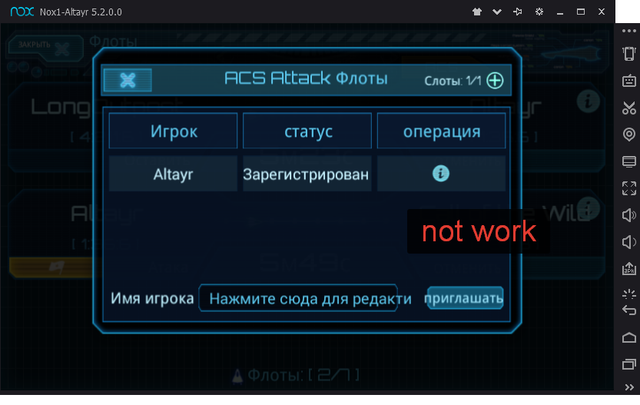 if the joint attack does not work - the game is over. and you will lose your investment in the development of this game. ACS feature is closed yet on most of servers. Developers like to experiment with different game mechanics on different servers. For example on Carina all the building levels are higher then other servers. 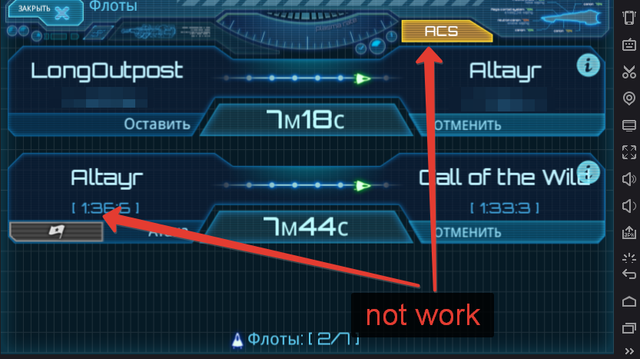 They only reason you still see the ACS button is because it's easier to disable a feature then reskin the game for each variant. One sever you could get deuterium from galaxy pirates. Another had galaxy pirate levels 1 to 10, and some had ACS which required more building spaces. admin wrote: ACS feature is closed yet on most of servers. I so it and wrote, still and i screenshots led. so open up!